As opioid use has pervaded West Virginia, the rate of infants who develop neonatal abstinence syndrome has increased. But significant barriers—including that various ways healthcare providers define NAS and document it in medical records—make it difficult for researchers to capture NAS data that is useful and reliable. Amna Umer, an epidemiologist in the West Virginia University Department of Pediatrics, and her research team are working to circumvent these barriers. In a recent project, they evaluated a new tool to collect real-time information on statewide NAS diagnoses and cases of fetal substance exposure. Their goal is to help make West Virginia the first state with such a system. New research by the WVU School of Medicine and Project WATCH sheds light on the rates of NAS diagnoses in West Virginia. The researchers based their findings on NAS data collected in real time from birthing hospitals and facilities across the state. This map presents the incidence of NAS in six West Virginia regions during the researchers’ data collection in 2017. Their research is part of Project WATCH, a statewide surveillance initiative to identify at-risk infants and link them to case management and home visitation programs in West Virginia. Researchers from Marshall University are also involved, as are the West Virginia Department of Health and Human Resources and the West Virginia Perinatal Partnership. All West Virginia birth hospitals use the electronic surveillance tool to gather important data on all newborns born in West Virginia. Previously, however, the tool didn’t capture NAS surveillance data. “Our unique statewide surveillance tool has been firmly entrenched in West Virginia for over 20 years, so it made perfect sense to use the tool to help address the issue of NAS,” said Collin John, medical director of Project WATCH and associate professor in the WVU Departments of Pediatrics and Internal Medicine. Umer and her colleagues wanted to know if it was possible to accurately capture NAS data in real time. From October 2016 to December 2017, they expanded the tool to include real-time information. As each newborn was discharged from the hospital, a healthcare provider inputted data regarding his or her NAS status, exposure to substances in utero and other traits. An audit that the researchers performed indicated that the tool was accurate. 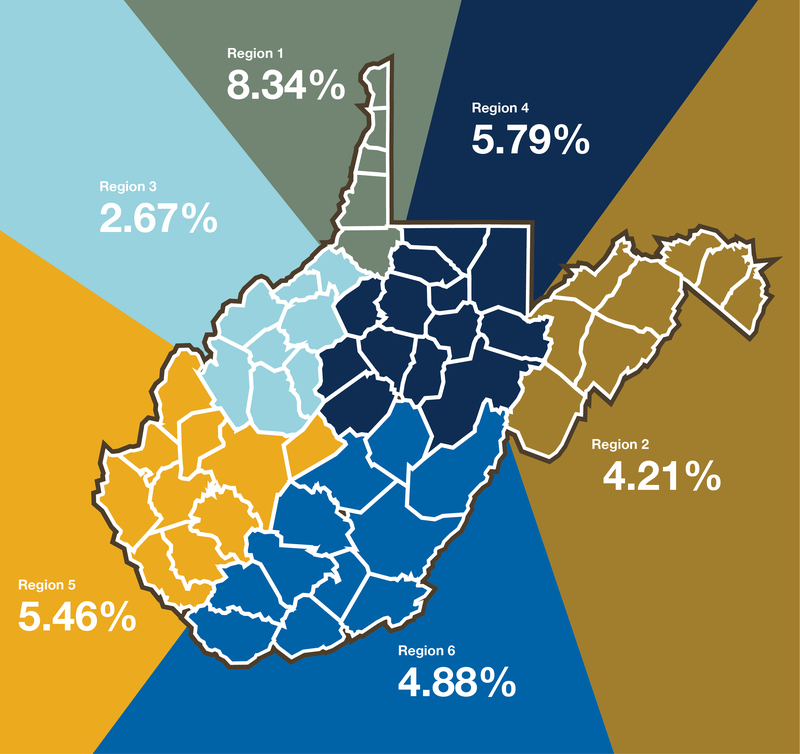 According to the data entered into the tool, a region in northern West Virginia—comprising Hancock, Brooke, Ohio, Marshall and Wetzel counties—experienced the highest rate of NAS in the state, at 8.34 percent, in 2017. Those counties also had the highest percentage of babies exposed to substances in utero: 18.47 percent. Being able to pinpoint figures like these can help get resources where they need to be, when they need to be there. “That’s one of our main goals,” Umer said. Those resources may include training teachers to nurture students who once had NAS, and supporting pediatricians as they treat the condition’s lingering effects. “I think it’s all still relatively new as far as what outcomes look like when these kids get into school. There aren’t a lot of studies that track them over the long term, but that’s a huge opportunity for this state—learning what challenges they face,” said Candice Hamilton, the assistant director of Project WATCH. In addition, having current data may help standardize how NAS is diagnosed, boost prenatal care in areas where NAS proliferates and, on a larger scale, shape policy. The incidence of NAS is disproportionately high in rural counties. It’s also increasing at a faster pace in rural areas, and it’s particularly common in Appalachia. For instance, within Kentucky and Tennessee, the rates of NAS are higher in the Appalachian regions than in the non-Appalachian ones. West Virginia—a predominantly rural state that lies entirely within Appalachia—has an especially high rate of NAS. “Knowing it’s 0.5 percent nationally, and it’s up to 5 percent here in West Virginia... that’s nearly 10 times higher,” Umer said.